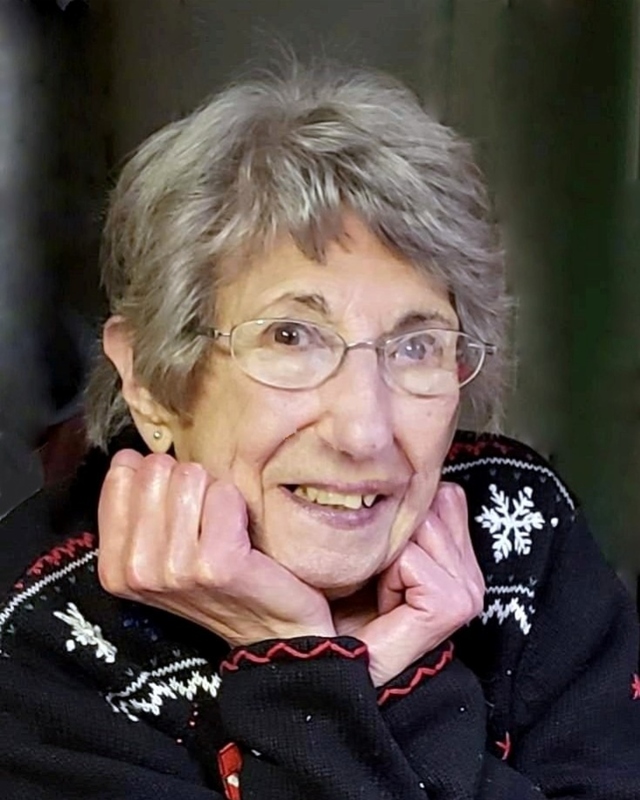 Marjorie Ann (Kanan) Groleau, passed away at her home in Methuen on Thursday, January 24, 2019 with her family by her side. The cherished wife of the late Raymond J. Groleau, she was eighty-two years of age. Born and raised in Lawrence, Marjorie was one of six siblings, born to the late Abdo and Mary Ann (Deeb) Kanan. She was a student and parishioner at St. Patrick’s Parish in Lawrence. She worked as a clerk for 25 years at Brockway-Smith. Marjorie had many hobbies throughout her life. She enjoyed going to the beach at Salisbury and the Hamptons, however, her number one hobby of all was her family. She proudly raised four children with her husband Raymond. After Raymond’s passing, Marjorie joined a support group for the bereaved called Moving On. After being a member for some time, she met fellow member, Philip, who became her companion. In addition to her social clubs, she was a member of the Red Hat Society. Marjorie will always be remembered for being very loving, open-minded and having a big heart. In addition to her husband and her parents, Marjorie was pre-deceased by her siblings, Tom Kanan and Ann Callahan, and her granddaughter, Christine Stys, and her companion Philip McAdam. Marjorie is lovingly survived by her sons and daughters, Richard Groleau, and his wife Sara of Framingham, Susan Stys, and her husband William of Salem, NH, Matt Groleau, and his wife Lori of Derry, NH, and Mary Ann Groleau-Noftle, and her late husband John of Lowell; siblings, Larry Kanan, Matt Kanan, Marylou Walker and Steve Kanan; very special “Sitoo” of twelve grandchildren and sixteen great-grandchildren; also survived by many nieces and nephews. Relatives and friends are respectfully invited to attend calling hours from 3-8 PM on Monday, January 28, 2019 at Cataudella Funeral Home, 126 Pleasant Valley, Street, Methuen. A funeral service will be held at 8 PM in the funeral home, following the calling hours.